I love simple, good for you recipes. When it comes to crunch time, I need something I can make in a big batch, quickly and with little mess. Granola bars fit these requirements to the T but I don’t want granola that is full of extra ingredients. I want something natural and as few ingredients as possible. 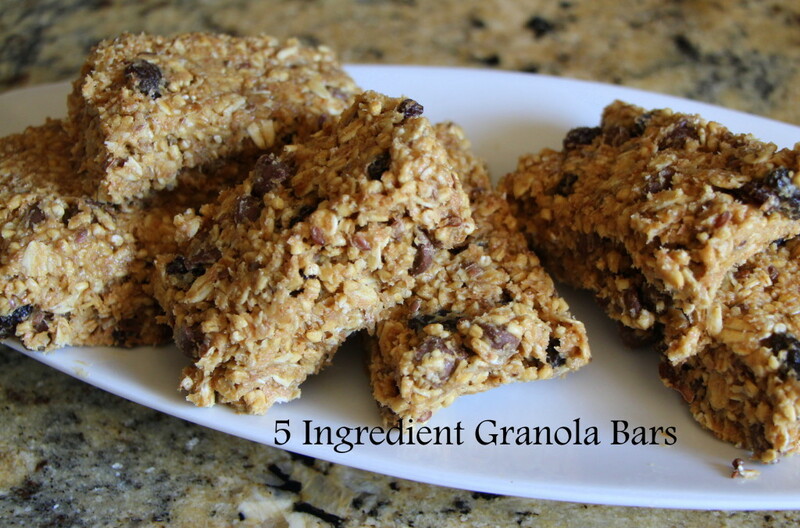 These simple to prepare and even simpler to make no bake granola bars are my favourite. 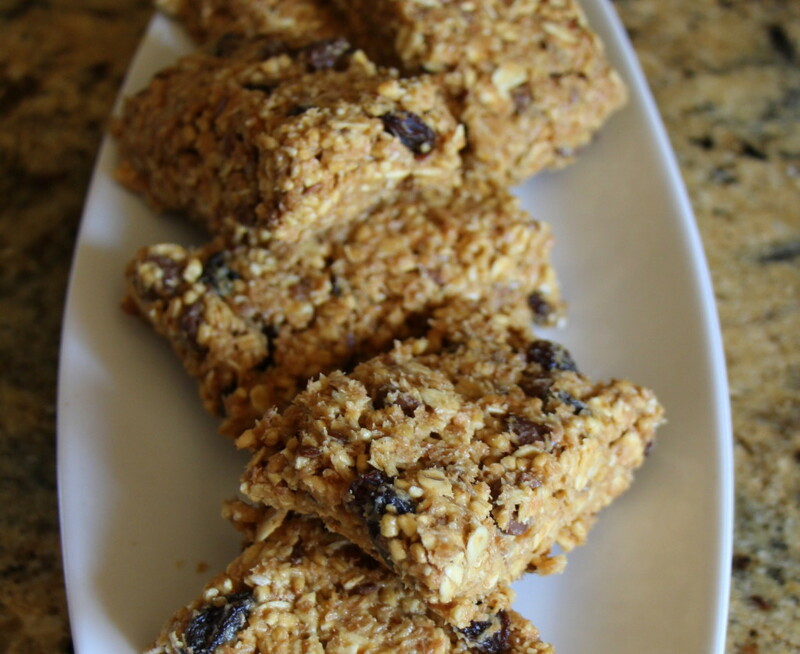 I can make these quickly on a Sunday night and have a weeks worth of granola bars ready for us to enjoy on the run or as a healthy snack before dinner. They have quickly become an easy and satisfying snack to consume on the run to work, between practices or even as a sweet tooth craving at night. Cover a rectangular pain in parchment paper and set aside. Combine all the ingredients into one bowl. 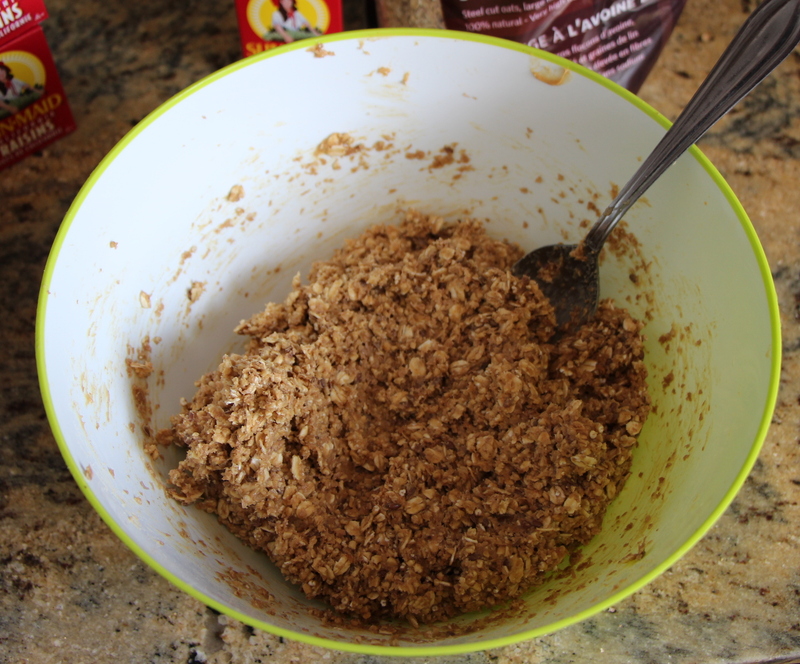 Mix the ingredients together well and until all the dry ingredients are ‘wet’ and sticking together. 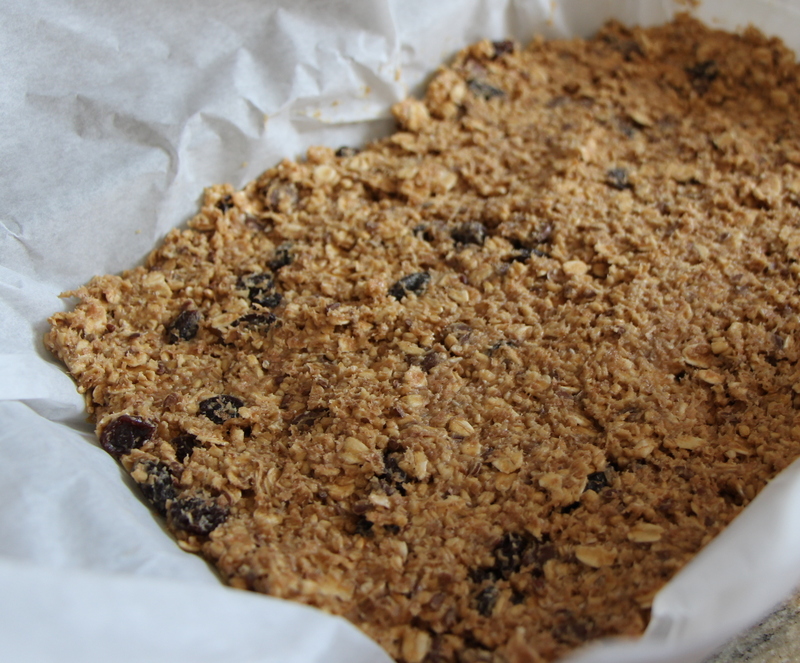 Transfer the mixed ingredients into the rectangular container on top of the parchment paper (this will help with easy removal of the granola afterwards). Push down to ensure the ingredients bind together well. Put the container in the fridge and allow it to remain in there for at least two hours. 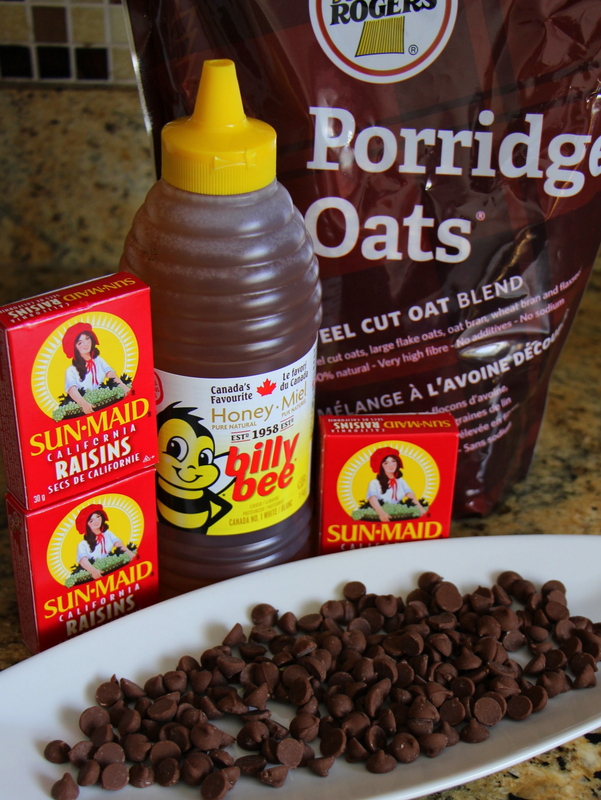 When you are ready to eat the granola, cut yourself out a piece and enjoy! 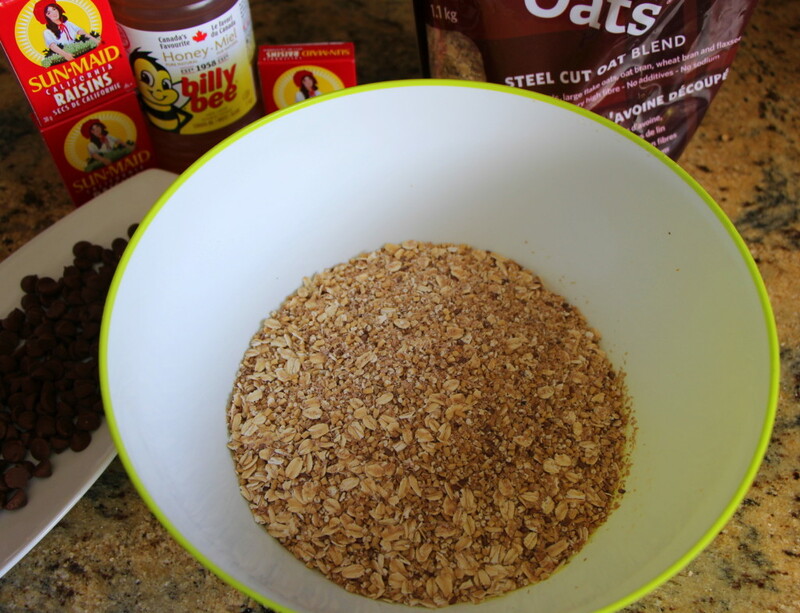 This granola recipe stayed well in our fridge for the entire week. This entry was posted in recipe, recipes, snacks. LOVE that these are no bake and no peanut. My kind of recipe and one that I will definitely be making for The Kids lunches. Thanks for sharing. These look delicious and seem so easy to make. I have to give this one a try.